I've had similar feelings while rewatching some old episodes. Really Moonscoop made some great design decisions for this season. 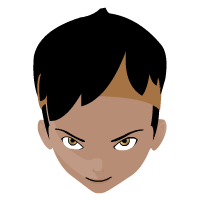 Redoing the style of animation for the faces and making their Lyoko costumes more sleek really helped the characters. The way they move and act feels a little more natural and alive. There's definitely a lot more personality put into the character animation. And the environments themselves look so much better just because of the atmosphere and lighting they've added. 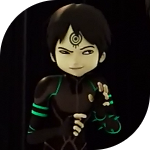 Lyoko in the past always looked a bit sterile just because of how flatly everything was textured and lighted. But they really did manage to pull off some realistic lighting for the sectors so it just looks so much better. The sky in general looks really good and makes Lyoko feel a bit more alive. By the way, a subbed version of the episode is now available, so in case you're interested, just send me a PM. XND wrote: Good episode, although, as much as I dislike Laura, I thought William would've been on her side more, because he's been in her shoes? Regardless, she tampered with the RTTP program so she can remember, or something similar? Not liking her one bit. Though I must say, she has been cast well, you can just see hints of smugness which definitely helps when you can't understand the language. Either that or I'm being subconsciously pedantic and hateful towards her. Fake typing is starting to bug me. I think this episode get's rid of any last live-action Odd haters, and both William's phone case and book-face-covering was awesome. They were being jerks. To be honest it serves them right that Laura tricked them since they were using her. Even if it was for a good cause it still wasn't right (You would have thought by now that they would have learned cheating comes with a price). But I can't exactly blame them for hesitating on letting her join, she's really smart, it wouldn't take much for her to double cross them. Hopefully they scan her into the supercomputer since her current immunity to the RTTP seems to take time to work (As seen in the episode). Makes me wonder if they'll tell her about her previous trip to the factory. Strangely_Scott wrote: They were being jerks. To be honest it serves them right that Laura tricked them since they were using her. Even if it was for a good cause it still wasn't right (You would have thought by now that they would have learned cheating comes with a price). I dunno, I agreed with Odd's utilitarian point of view--if Laura wasn't going to remember any of it, and wasn't likely to get hurt (she has no source codes for XANA to viciously hug her), why not? She's smart, smug, and probably dangerous considering she doesn't have deep ties with the group. William didn't do anything to stop her, he just followed her. Even when Jeremy told him to keep her away, William kinda just rolled up with her anyway. Also the technobabble is strong in this episode. xiaozanghou wrote: I dunno, I agreed with Odd's utilitarian point of view--if Laura wasn't going to remember any of it, and wasn't likely to get hurt (she has no source codes for XANA to viciously hug her), why not? She's smart, smug, and probably dangerous considering she doesn't have deep ties with the group. But Laura could be hurt even if she didn't remember. That virus is out there, Alan Meyer and XANA could easily take a good hard look at that virus and figure out who made it. How easy would it be for Laura to suddenly become a target. After all she developed that virus in a matter of hours while Jeremy and Aelita had failed. Even if she had forgotten everything as the group had intended she would still be in some danger because of it. And using someone else's work for their own end has almost never worked for Jeremy. It's really no different then Jeremy using Franz Hoppers data for the Marabounta or for that device to increase his intelligence utilizing the RTTP. He rushed to find a solution, didn't consider all the variables and it turned out badly. Ultimately they decided to take a short cut and like in the past it didn't work out for them. So the consequences are well deserved in this case. Yeah the consequences will be deserved if they come to pass. I mean they were jerks, awesome jerks, but it was sort of mean how they used her. They put her in danger and she doesn't even know what's going on. But you know, I hope Yumi gets that stick soon, really want that! That's always been Jeremy's biggest problem. Despite being the "genius", he jumps to conclusion quite often. my biggest question about the episode is how Laura was able to just look at the code and realize what it was for, and modify it for her own gains. I mean, she may be a bedroom coder, but we're talking about some incredible physics here on a level which has never been done before. So how on earth would she be able to understand what it does and how to modify it?